As a sewing enthusiast and quilting fan, I want to help you find the best quilting machines for home use that you need, weighing aspects such as cost, accessories, value, build quality, quilting quality, utility beyond its quilting quality, and more. I have compiled them into a list of sewing machines that I feel will help with your decision making. As I wanted this review to be an ultimate guide for you all quilters, I decided to divide it into three parts. This is the first part of the series. Important Note: Sew Far Sew Good is a participant in the Amazon Services LLC Associates Program, an affiliate advertising program designed to provide a means for sites to earn advertising fees by advertising and linking to Amazon properties including, but not limited to, amazon.com, endless.com, myhabit.com, smallparts.com, or amazonwireless.com. Pricing is based when we wrote this product review and cannot guarantee accuracy or availability. We will correct any inaccuracies as soon as they are brought to our attention. Before we get into the nitty-gritty of the features and specific description for each sewing machine discussed, we will discuss the broad merits of them. The sewing machines I included here are the top rated quilting machines for home use that I think will really help you with all your quilting projects. Despite its weight, the Brother XL2610 is noted for its durability. 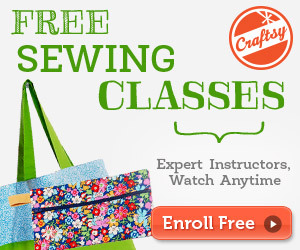 Not only is it good for quilting, it is a great sewing machine for embroidery too. 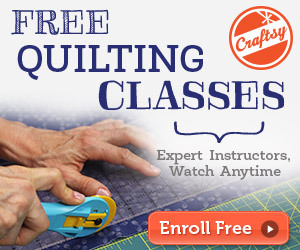 This machine is very user friendly, and is great for experienced and beginner quilters alike. If I had to give this sewing machine one specific best feature, I would have to say it’s the automatic buttonholer and needle threader. This sewing machine does not focus too much on its accessories, instead choosing to focus on its built-in utilities. Due to the cheap price, this is definitely more recommended for quilters who put little weight into the accessories with which their sewing machine is equipped! A lightweight and portable sewing machine has a lot of utility for crafters who want to be able to sew wherever they want. I know we all want our own craft room but some sewers cant afford to have a sewing room and has to work their way into limited sewing space. This is a lightweight sewing machine that does its job as well as its other heavier machine counterparts. The best features of the Brother Project Runway CE7070PRW are its stitching options and wide sewing board. The 70 stitches available allows quilters to put a lot of creativity, imagination, and soul into every quilt that they create. This sewing machine is a valuable tool to have if you love to sew clothing, heirlooms, or decorative fabrics, making it good for quilters and crafters who need a sewing machine for general use. One of the key standouts for this sewing machine is its wide table. The wide surface allows more mobility and control when you are working on larger and complicated quilts. The table is an external addition that attaches to the sewing machine. This electric sewing machine comes with its own fair selection of accessories. carrying case and other kinds of accessories. If you find yourself on a budget, and yet also find yourself wanting to do some quilting, the CS5055PRW machine offers a quality lightweight sewing machine that will not end up breaking the bank. Being inexpensive of course does not mean that it has to be cheap or inefficient. Quite the contrary – this sewing machine offers a quality value for the price point. This sewing machine is able to sew several materials, including fleece, elastic, and other fabrics, making quilting projects not only a breeze, but a fun way to break away from the quilting norms. Some people might like to say that the basics are all that you need from your sewing machine, but for others, features are half of the experience. This sewing machine offers automation, auto pilot, and speed control. These features do well to help with the exactitude of measurements and design, and also do well to make that quilting project you have to look even better than before. There are quite a few good examples of what could be identified as this machine’s best features. If you enjoy automation, then this provides an automated needle threader and an auto pilot. If you enjoy variety, this one comes with 600 built-in stitches of which you can make use. If you like a careful design, this machine is designed to be error-proof. It’s a fair value, no matter which reason you choose to buy it. This one practically comes with a special set of accessories and a hard cover. The sewing machine also features pedals, which are good for people who have physical disabilities that may otherwise limit their quilting. In my own opinion, I think every kind of accessory that you could ever demand of your sewing machine is present and ready for use with Singer 9960. A sewing machine that is easily controlled is a joy to have. One of the more intimidating things that you can have done with your quilting is for the quilt to get messed up because you just could not maintain control of the quilting. Even a small error can make a major flaw – at least, in the eyes of the quilter. For this sewing machine, one of the best features is definitely going to be the degree of its computerization, especially its direct-stitch selection buttons. Other valuable features includes memorized up/down needle stop position as well as the Janome-exclusive “Superior Feed System”. It has a notable wide selection of feet accessories, which help improve the overall quilting experience without having to spend extra money buying the accessories separately for an upgrade down the road. It also comes with a screwdriver, a lint brush, a seam ripper, and a couple of spool holders. A nice balance between “not too heavy” and “not too light” is important, and the Brother CS6000i fulfills both quite well. It allows for convenient movement, but prevents your sewing machine from losing its placement when it is being used for quilting. Control is important, so being able to control the quilting to the tiniest detail is a nice feature that you can find with Brother CS6000i. It may seem arrogant to describe a sewing machine as “feature-rich”, but it is wholly accurate in this case. Its best features are most easily described as ones that promote ease of use and access. Not only does it have a design that emphasizes ease of use through easy access and setting of your bobbin, but it also has multiple methods by which the user can get the sewing machine starting and stopping. Its speed can also be controlled with a simple and easy-to-read dial. Brother CS6000i comes with several kinds of feet accessories (buttonhole, overcasting, monogramming, zipper, blind stitch, and button fitting feet specifically), and several others, including a screwdriver, a cleaning brush, and a needle set. Notably, this sewing machine features four bonus accessories. These accessories are a walking foot, a spring action quilting foot, a quilt guide for foot holder (both of which being obviously great pick for a quilter looking for a good sewing machine), and a hard case to keep it safe when it is being transported. No need to buy a replacement just because it slipped out of your hands. Personally, I recommend this machine to all my friends and students as for me it is the best sewing machine for beginners especially if you are also into quilting and embroidery. Read my Best Sewing Machine For Beginners : BROTHER CS6000I Review post to explore more about this machine. Now that you have weighed all of the information – the product overview, the product description, the best features, and the accessories – we hope that you can make a weighted, informed decision on which sewing machine is right for you. Certain sewing machines are going to be more desirable for those who are operating on a budget, while others are better suited for people who want a feature-rich machine. The Brother Project Runway CS5055PRW is great for those with a lower budget, but if you have more money to spend on a sewing machine, you can invest in the SINGER 9960.